The UK joins United States in training and equipping rebels in their fight to oust Syrian President Bashar al-Assad from power. The UK is joining the United States in training and equipping opposition forces in their fight to oust Syrian President Bashar al-Assad from power. 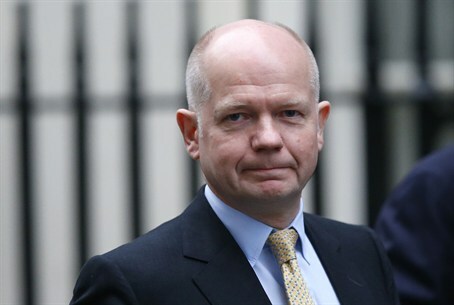 UK Foreign Secretary William Hague met Thursday in Rome with members of the mainstream Syrian National Council (SNC) to discuss the issue, making good on a promise he extended late last summer. At that time, Hague had pledged an extra five million pounds Sterling ($7.8 million) in non-lethal aid, to include medical supplies, communications equipment and body armor. “At the meeting I said we cannot stand still while the crisis worsens and thousands of lives are at stake,” Hague tweeted to the public on the Twitter social networking site following the meeting. [The Syria] crisis needs a political solution. But for that to happen pressure on #Assad regime must rise,” he continued. “UK urging peaceful resolution and UN Security Council action. But Syrians need urgent help, so will also be announcing new assistance,” he added. Thursday’s meeting was set ahead of an international conference at which the rebels were expected to be promised full “non-lethal” military support. Hague had managed to persuade European Union leaders to tweak a sanction against weapons supplies to Syria in order to allow the Allies to provide armored military vehicles and body armor, as well as military training, The Independent reported. U.S. Secretary of State John Kerry met earlier with SNC leader Ahmed Moaz al-Khatib, who had threatened to boycott the talks as a protest against the foot-dragging on support by his Western backers.